Move over, Thelma and Louise! When Lana Mae Hopkins, owner and proprietress of the Wishy Washy Washateria, hires Katie to help out in the laundromat, they soon find themselves up to their elbows in soap, suds, and cheatin’ hearts. Watch these two country angels join forces to turn their good ol’ laundromat into a bootscootin’ honky-tonk, exacting a touch of revenge against those that done ‘em wrong, all while guaranteeing every customer a good, clean time! Take a ride to Nashville heaven in this musical from Roger Bean (The Marvelous Wonderettes and Life Could Be A Dream). 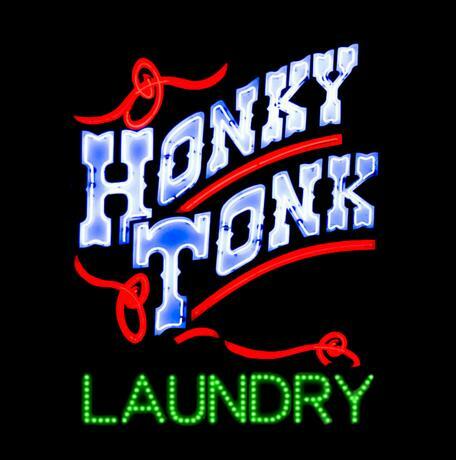 Honky Tonk Laundry features the music of Carrie Underwood, Trisha Yearwood, Martina McBride, Reba McEntire, Sara Evans, The Dixie Chicks, Chely Wright, Dolly Parton, Pam Tillis, Gretchen Wilson, Terri Cark, Tammy Wynette, Loretta Lynn, and Patsy Cline! Watch out now 'cuz we might do some yodelin', too.